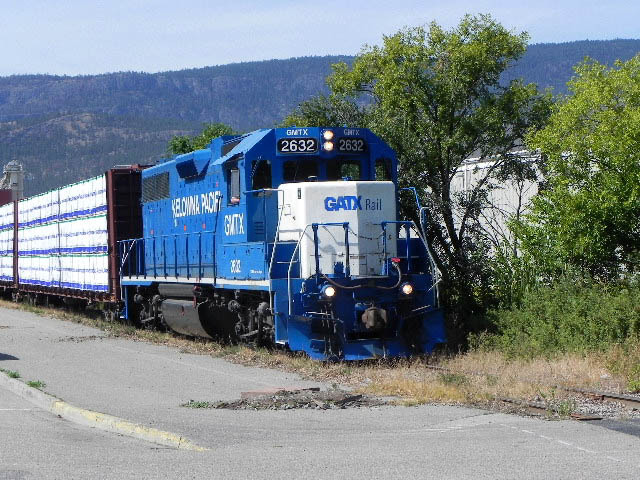 There may only be one train a day into Kelowna these days but the city still offers some easy to view switching for the local railfans. There are powers that want to see and end to even that in order to have all freight in and out of here handled by big trucks. What are they thinking? Perhaps they enjoy digging into city coffers to fix the roads just like the one in the photo. Or perhaps they own trucking companies and really don’t care.